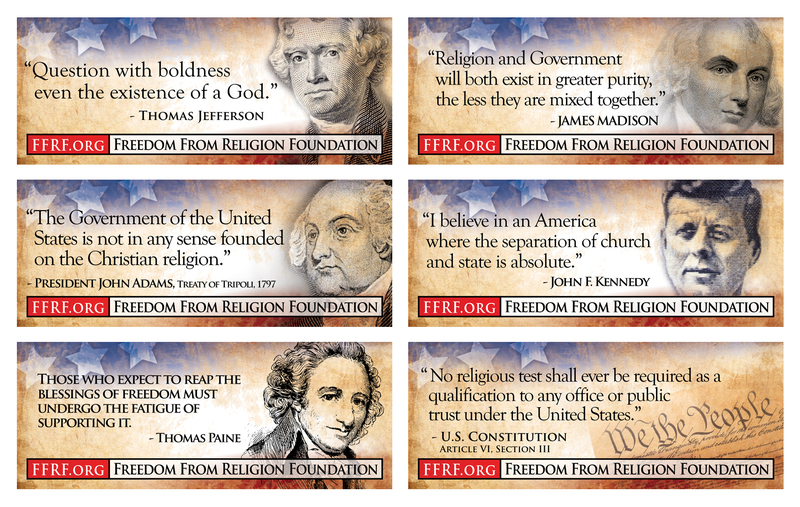 Sixteen full-color beautiful FFRF billboards including quotations from famous freethinkers and founding fathers, and irreverent sayings. 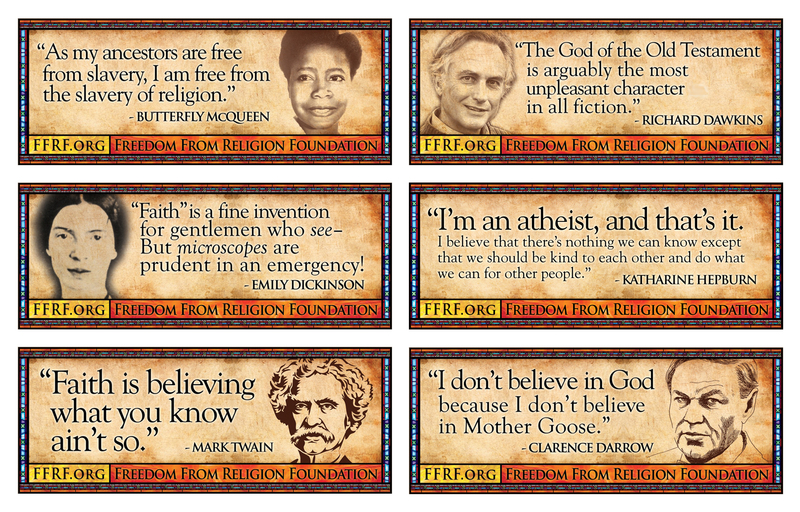 "I'm an atheist, and that's it. I believe that there's nothing we can know except that we should be kind to each other and do what we can for other people." " 'Faith' is a fine invention for gentlemen who see - But microscopes are prudent in an emergency!" "As my ancestors are free from slavery, I am free from the slavery of religion." "The God of the Old Testament is arguably the most unpleasant character in all fiction."